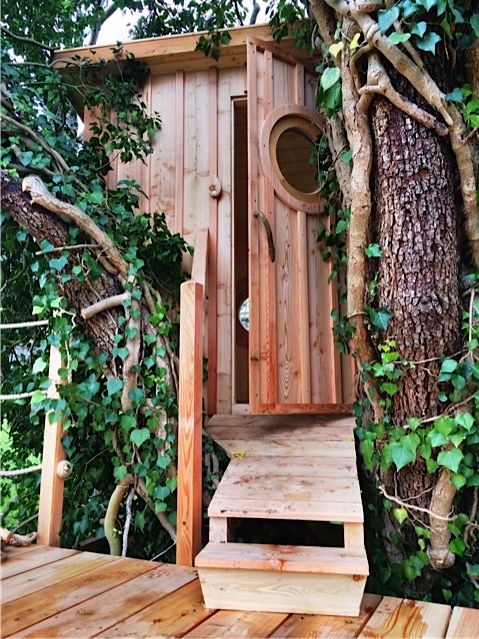 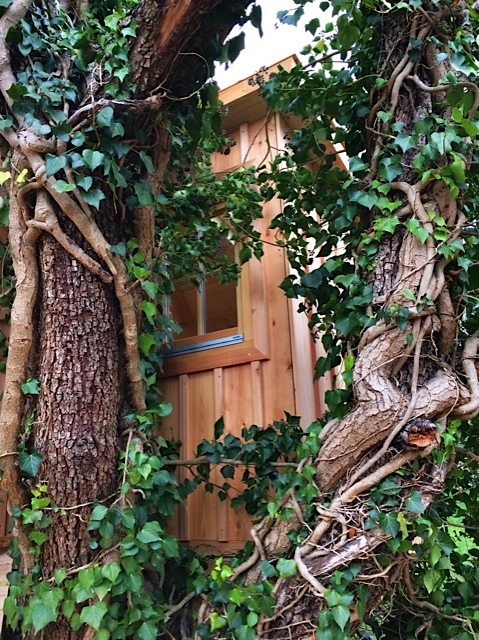 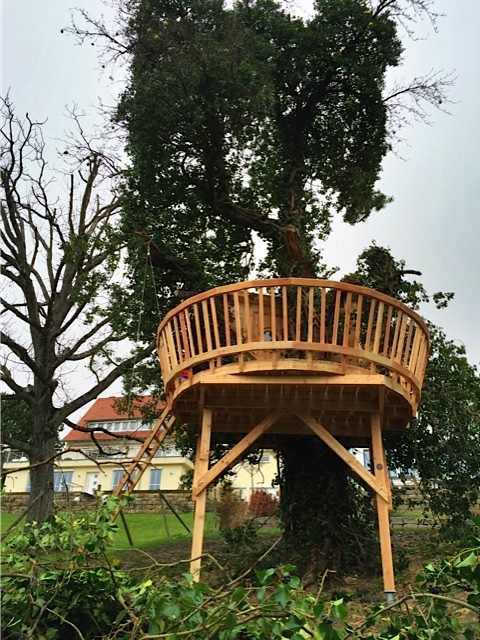 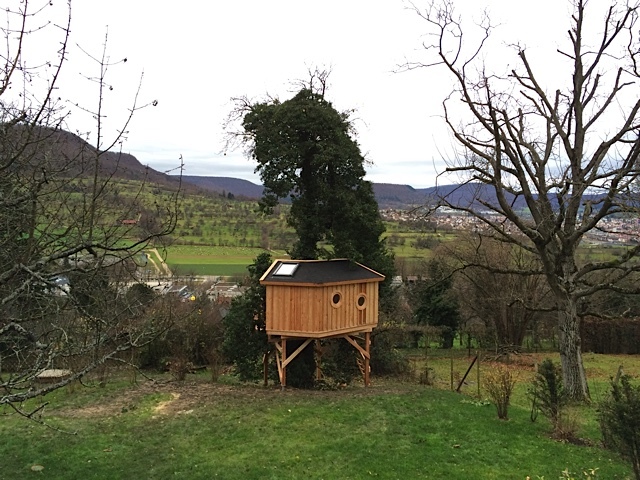 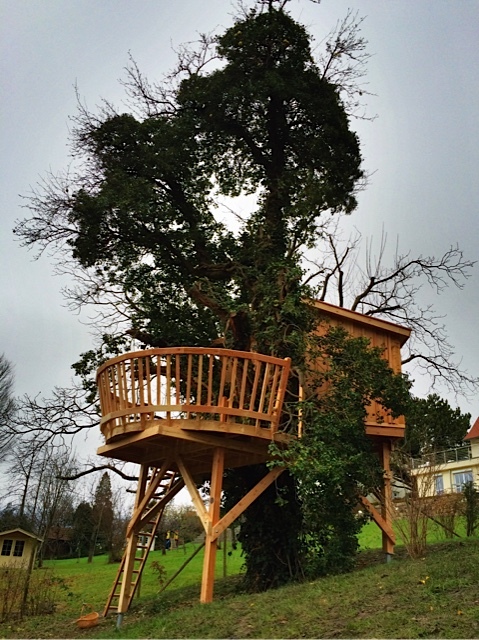 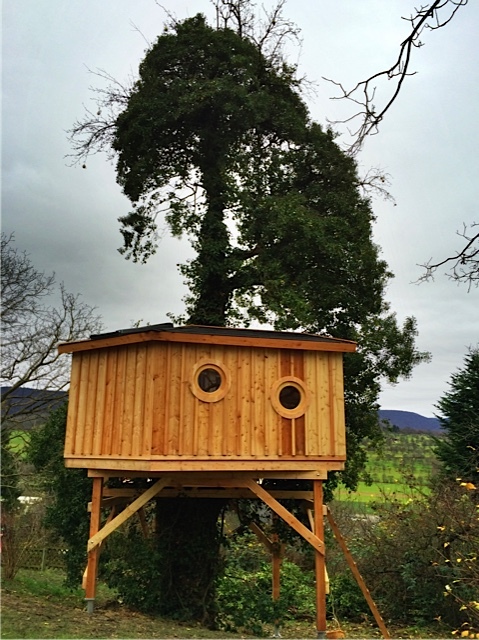 Just before the end of last year we built this little treehouse in the Stuttgart area around a pear tree. 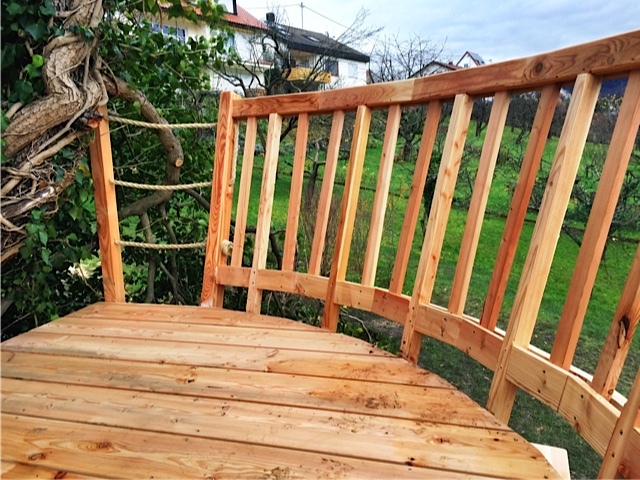 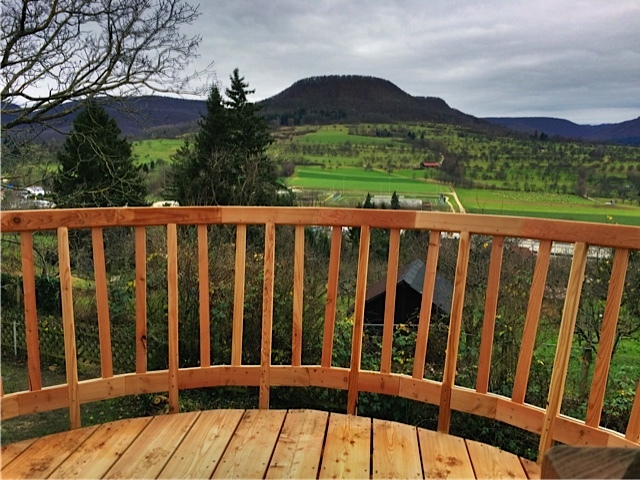 The porch on the one side with a view of the valley is connected to the house itself on the other side with a little bridge. 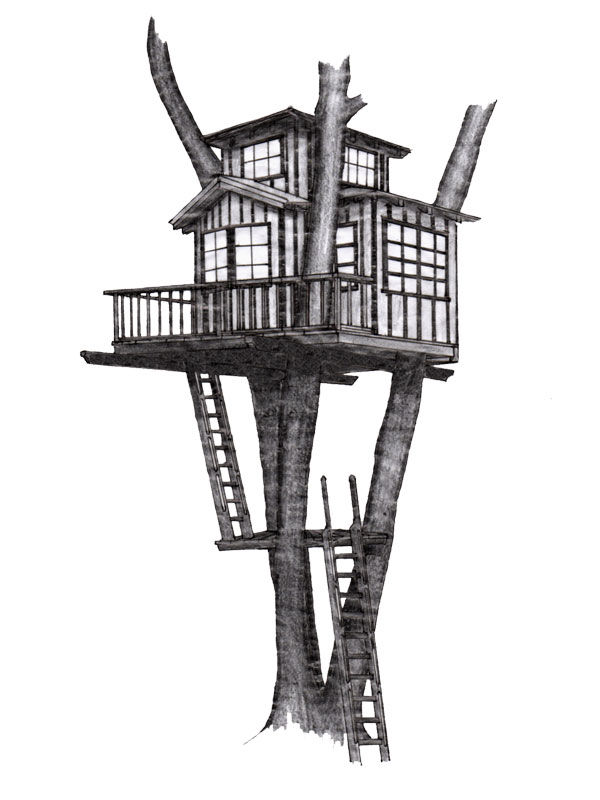 Three girls at the age of 5-12 plus their little one year old brother got very excited about this treehouse. 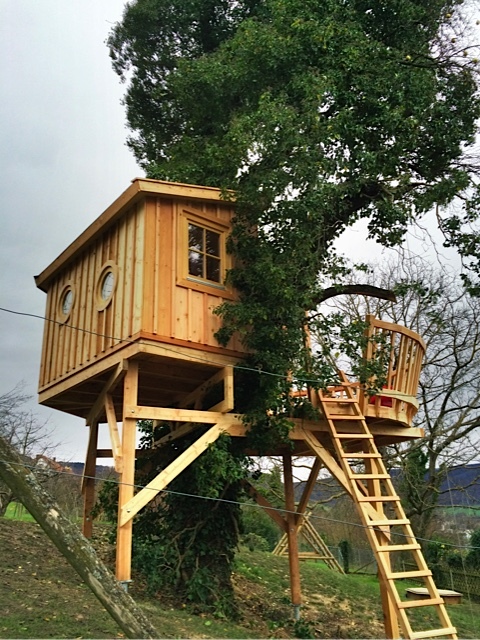 Thank god the parents were thrilled too, at the end they actually would have better liked a treehouse for themselves.